Many women tend to often wear tight-fitting shoes. Shoes with narrow toe box and sloping foot bed are common! Well this is fashion and these shoes make one woman feel confidence and beautiful. The higher the heel the longer one leg and make one taller, slender and feel gorgeous! Do you know these shoes can cause damage to the toes? The slope pushes the foot towards the narrow toe box then this causing the toes to squeeze together. This factor cause constrained towards one toe joints and can become adaptable to this position and this may cause deformity called bunion to develop! Once this bunion develops one foot will find extra ordinary bone growth on side of big toe. One may find very hard to buy or wear ordinary shoes. Furthermore, the pain is killing and the effect is for long time and get deteriorate if no early prevention taken. Oppsss!!! 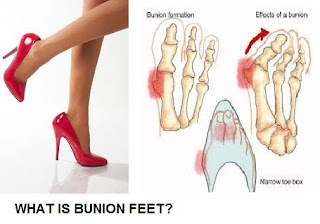 by the way not only women suffer with bunion. Men you can't run away from this too!!! 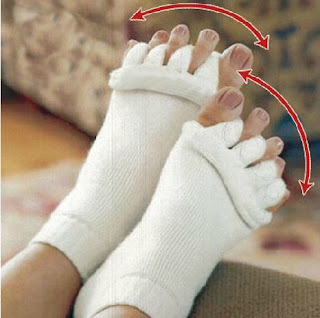 - Foot condition by deformity or abnormality in the size of the big toe. People who suffer from bunion have a toe pointing outward and sometimes the appearance of a bumb on the inner part of the foot. Mild bunion - often not painful but often this is just early stage and in most cases this getting severe. · Keep you far from foot pain, foot cramps, hammertoes and bunion feet problem. 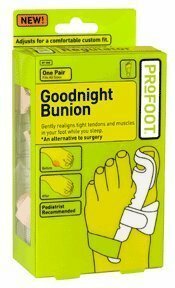 All mentioned item just to slow down the bunion process. 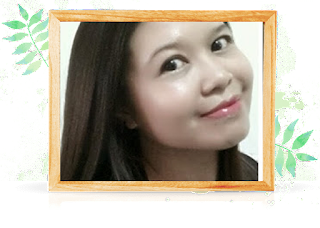 Like mine has been develop since 10 years ago. Still survivng wearing night time splinter when I sleep every night. I don't wear that very high stilettos, just an average one. This is a great product and need to buy and keep for future use. HANOI - TAIWAN UNCLE LOVE SILK SHOPPING?